Check your tire pressure. Swings in the temperature (we’ve had a few of those already this year!) have an impact on your tires’ air pressure levels. A 10 degree changes can affect the pressure level by one full PSI. Be sure to check the manufacturer owner’s guide for the correct inflation – it isn’t always the same as the pressure listed on the tire. Check tire grooves. Rocks, nails, and other objects can become stuck in the tread as you drive, so remove these objects and look for damage. 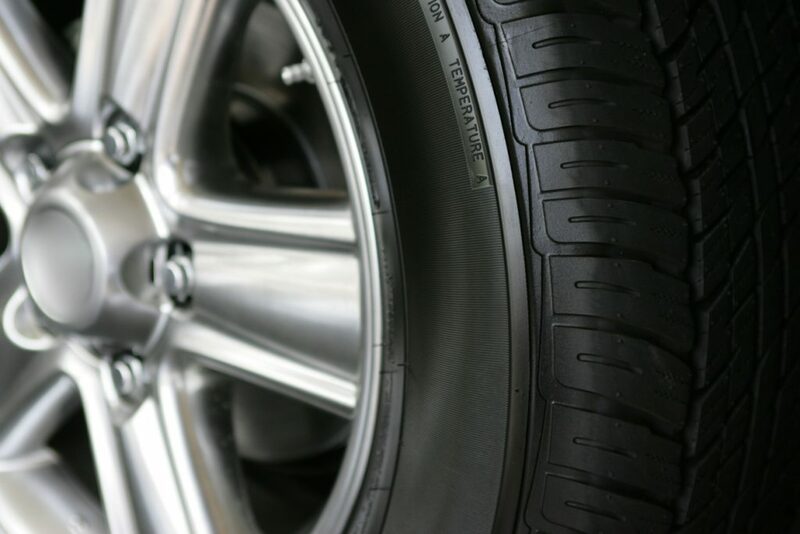 In rainy conditions, your tires need at least 1/8” of tread to prevent hydroplaning. To check your tread, simply insert a quarter in the groove upside down – if you can see George Washington’s head, your tread is too low and it may be time to replace your tires. Check the sidewalls. A quick visual inspection may help you spot potential problems for your tires. Look for thinning patches, especially uneven wear, that may put you at increased risk for a blowout on the roads. Cuts, bulges and other such irregularities can indicate a serious problem. Check the spare. Even though it’s hidden in the trunk of your vehicle, don’t forget about your spare tire! There’s nothing worse than being stuck on the side of the road after experiencing a blowout and you’re unable to make it to a garage because your spare isn’t operable either. Check the alignment, balance, and rotation. Irregular wear of the tires can be a sign for a probably with the alignment or might been your wheels’ balance is out-of-whack. It also means your tires will need to be replaced prematurely. If you have any questions/concerns about your tires’ health this spring, call our team at 303-344-4670 or click HERE to set an appointment with our ASE-certified technicians – we’re dedicated to keeping you safely on the road year-round!